Area : 308,300 sq km. Temperature : Max. 44° C and Min. 33° C in summer.Max. 27° C and Min. 10° C in winter. Religion : Hinduism, Muslimism & Christianity. Best season : September to February. The very heart of India. It is not called so only because of its location in the centre of the country but because it offers diverse experiences in art, culture, nature, religion and history.The natural beauty of the State is equally varied, with plateaus and plains that are intersected by meandering rivers and dotted with hills ravines; one-third of the State is forested, offering an exciting panorama of wildlife. In its National Parks, one can spot the elusive tiger, bison and a wide variety of deer and antelope. The cultural heritage of Madhya Pradesh is ancient and chequered. Innumerable monuments, exquisitely carved temples, stupas, forts and palaces are reminders of a glorious past, Moments of valour and glory, love and passing have been arrested in them by the sensitive shisels of master craftsmen. This is the magic of a many-splendour land. The magic of Madhya Pradesh is further enhanced by the wide choice of accommodation offered by M. P. State Tourism Development Corporation. It ranges from exotic log huts to luxury hotels and colonial bungalows, cafeteria and wayside amenities. An Annual music festival – the Tansen Music Festival is held in the month of November to December in every year. Air: Indian Airlines, Jet Airways and Sahara Airline with Delhi, Gwalior, Indore and Mumbai connect Bhopal. Rail: Bhopal is connected with all major cities. Road: Motorable roads connect Bhopal to Gwalior, Indore, Ujjain 189 km, Sanchi 46 km, Khajuraho 387 km, Mandu and Jabalpur 295 km. Travel Spot: Amarkantak, Chaturbhuj, Maheshwar, Parswanath Temple, Bandhavgarh, Mandu, Shivpuri, Bhimbetka, Gwalior, Nilkanth Mahal, Udaygiri, Bhojeshwar, Indore, Omkareshwar, Ujjain,Chitrakoot, Bhopal, Jabalpur, Orchha, Vidisha, Chanderi, Jai Vilas, Pachmarhi. 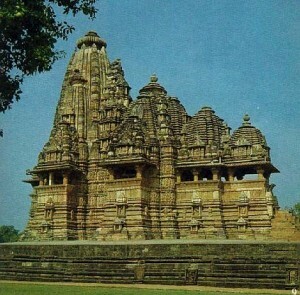 This entry was posted in Madhya Pradesh and tagged about madhya pradesh, information on madhya pradesh, madhya pradesh history, madhya pradesh images, madhya pradesh information, madhya pradesh photos, madhya pradesh pictures, madhya pradesh tour, madhya pradesh tours, madhya pradesh travel, madhya pradesh weather, madhya pradesh website. Bookmark the permalink.